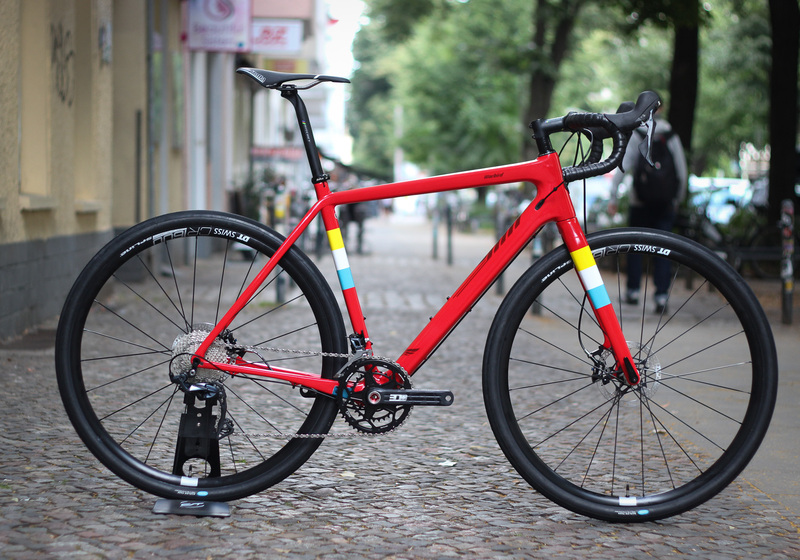 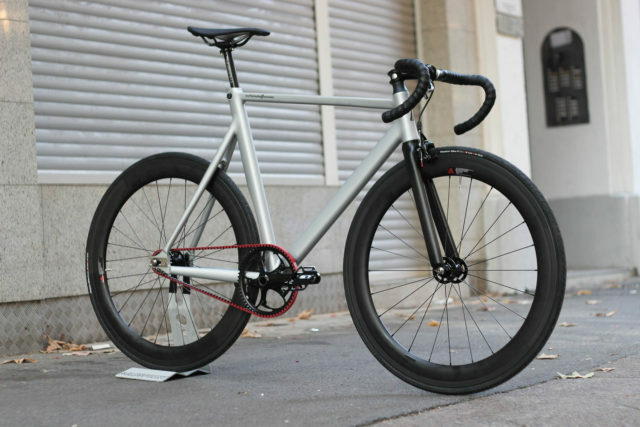 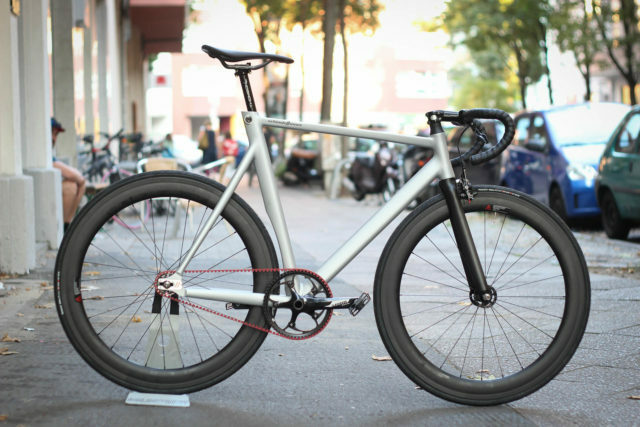 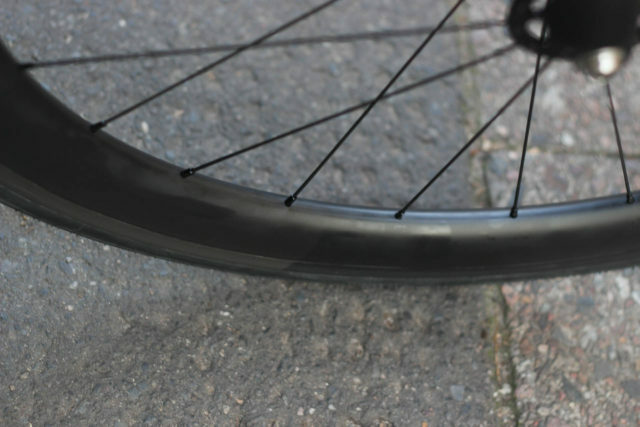 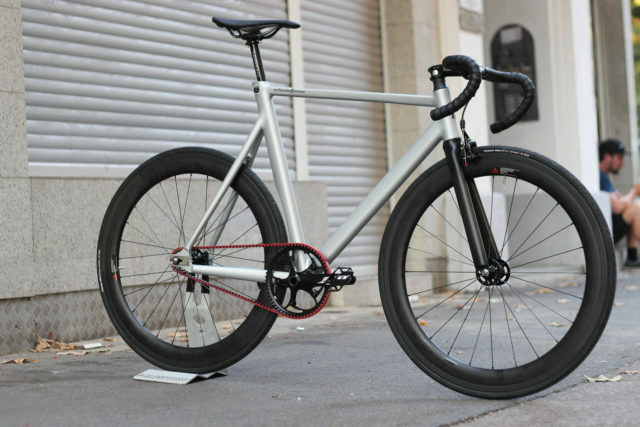 A Schindelhauer Hektor track frame that got the right treatment with Goldsprint Ultimate C60 Carbon clincher rims laced to light Ridea track hubs. 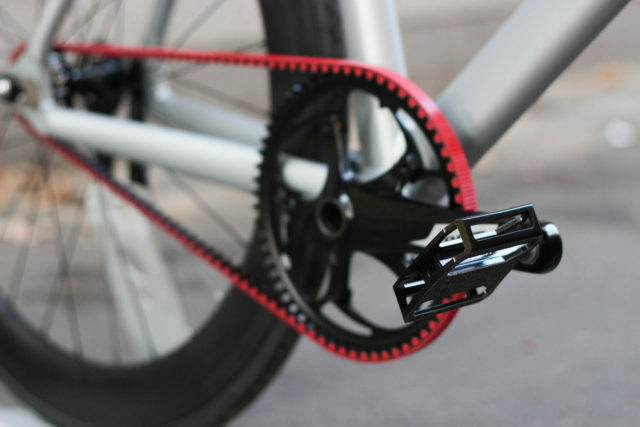 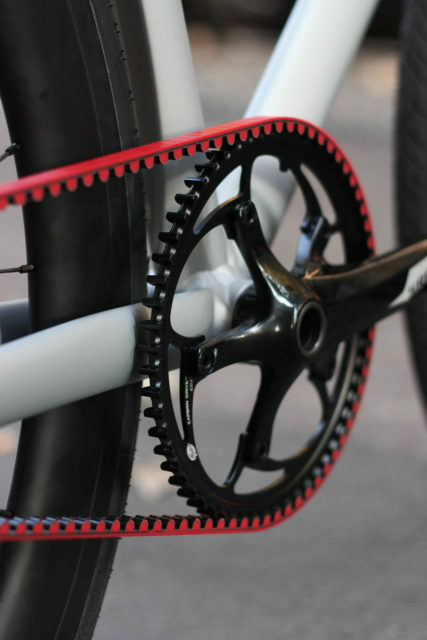 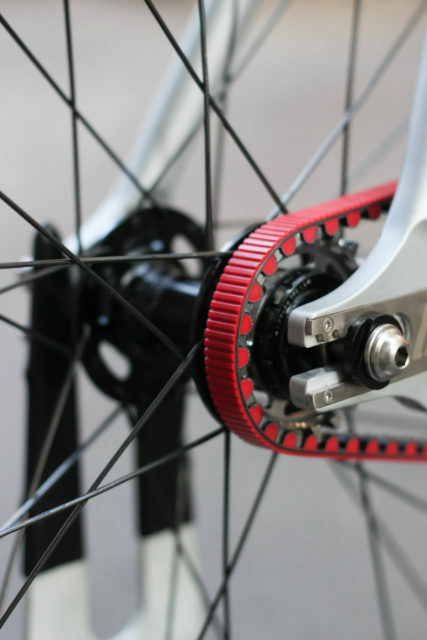 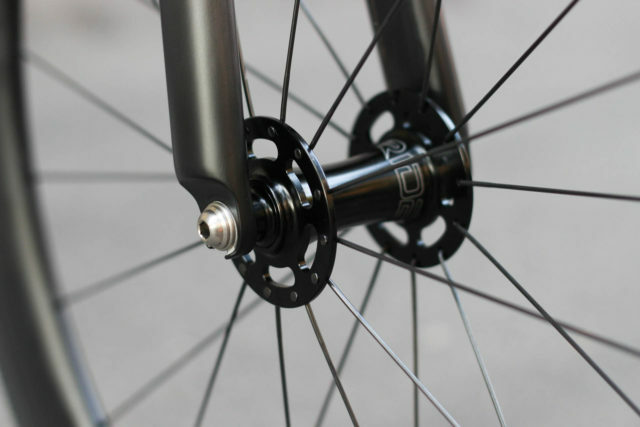 Drivetrain is of courese Gates carbon drive. 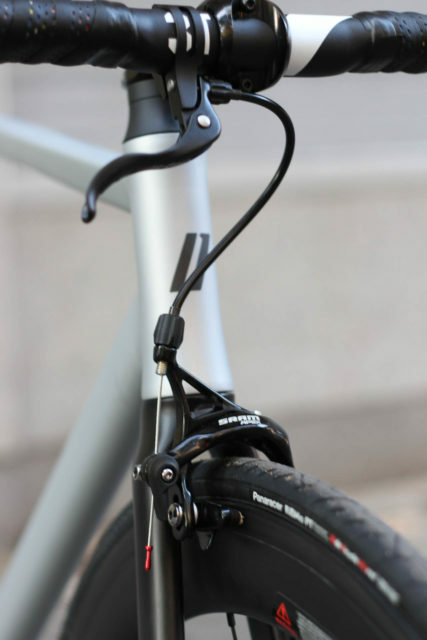 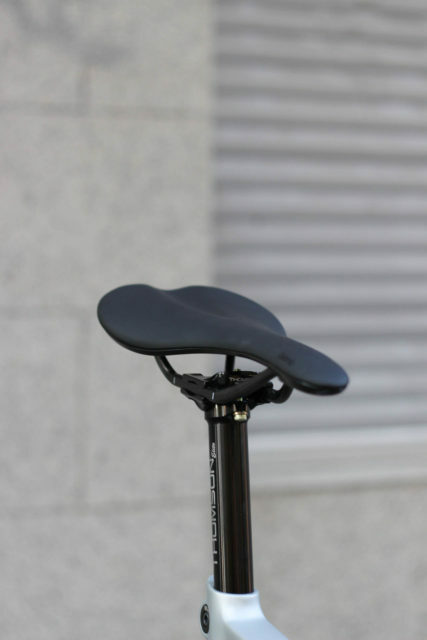 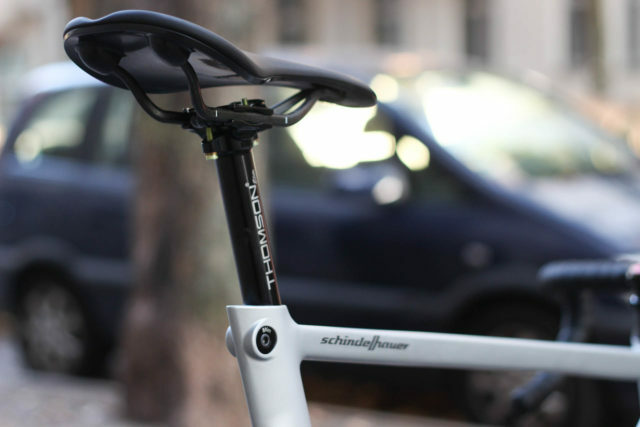 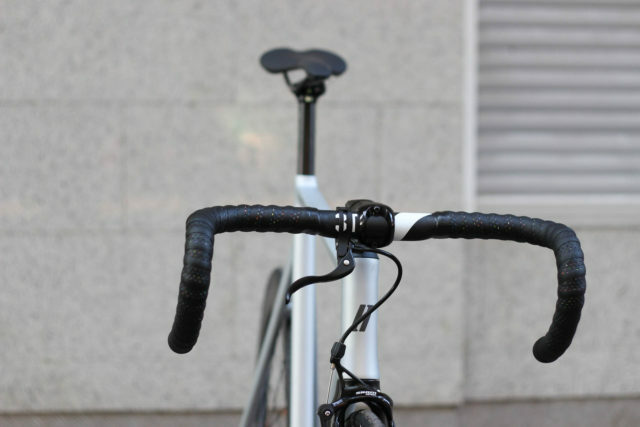 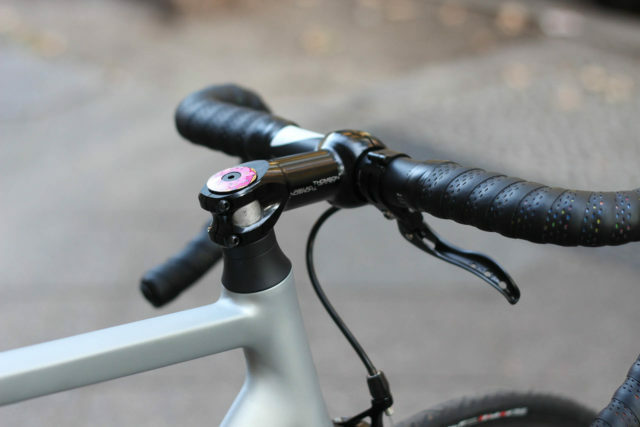 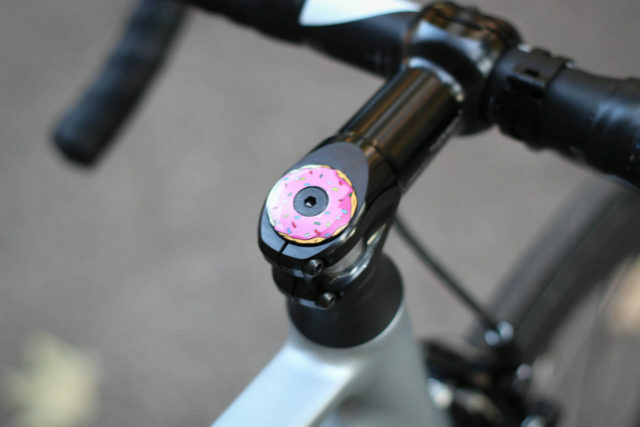 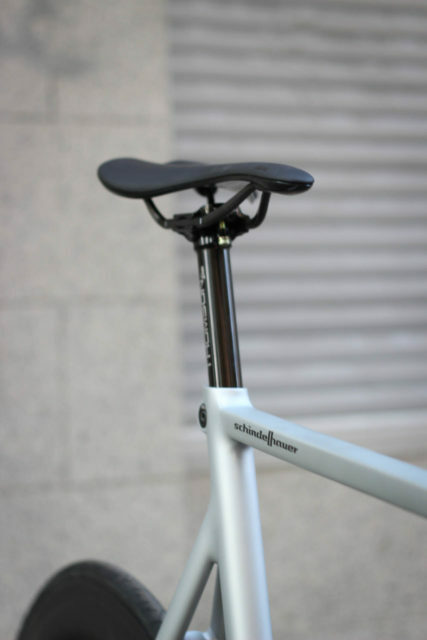 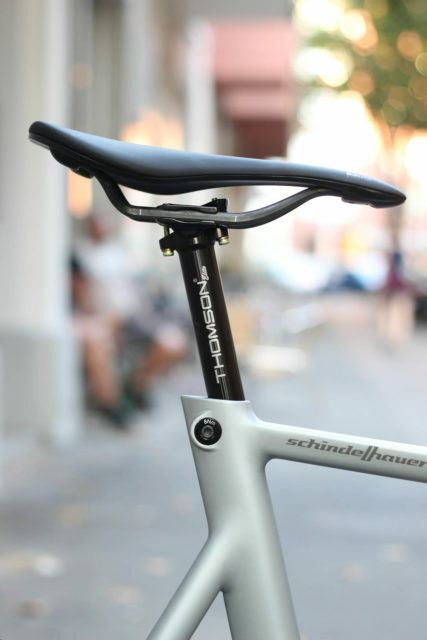 The seatpost and stem are beautifully CNC machined products by Thomson. 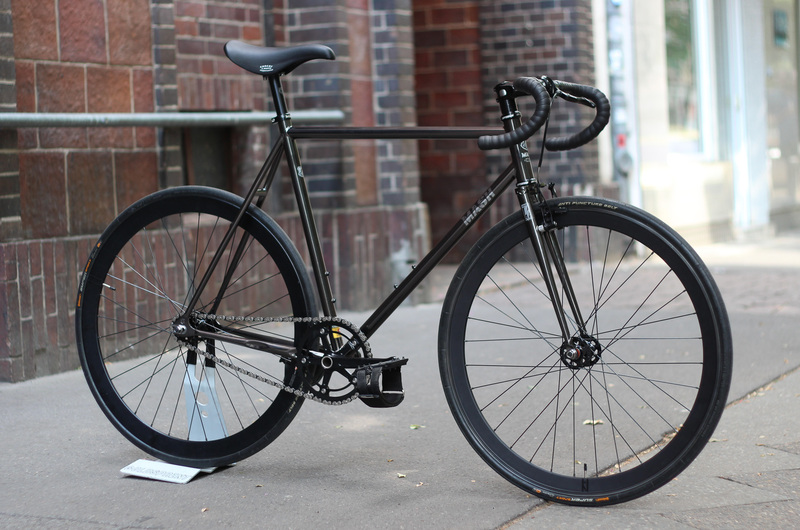 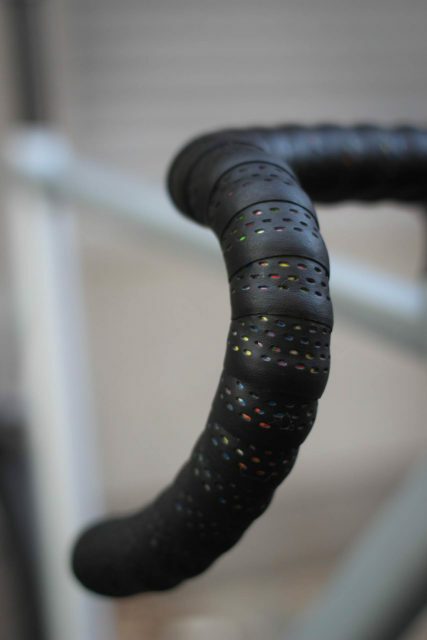 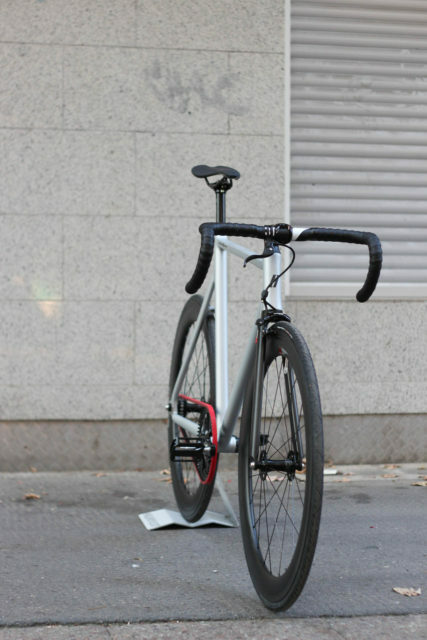 Fabric saddle, 3t handlebar and Cinelli Caleido bar tape fit the bike perfectly. 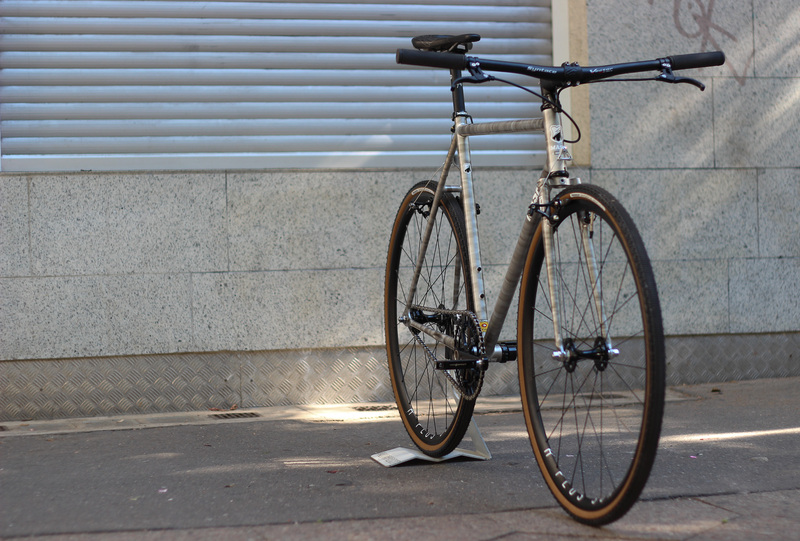 Mark brought his old CX bike and a VPace T2ST Speedtraveller frame for a complete rebuild. 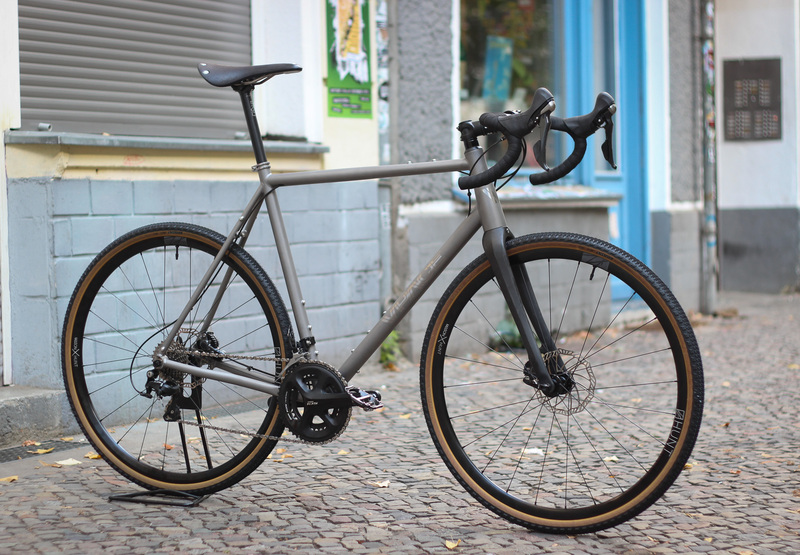 We build the Vpace with his old parts taken form the CX, a new Hunt X Mason 4 Season wheelset combined with tubeless @TeravailTires. 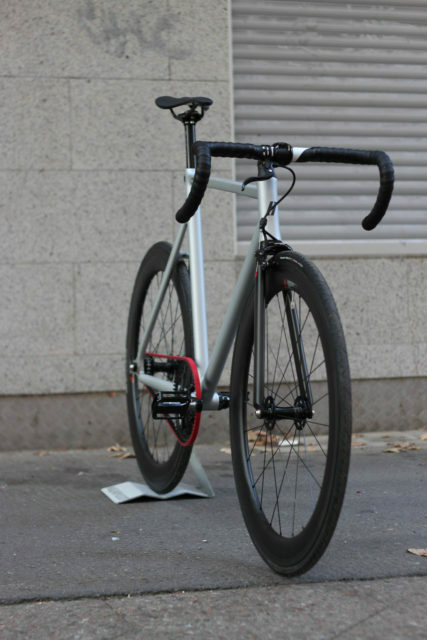 Looks fast!